Argonaut is developing novel epigenetic therapies targeting arginine methylation in cancer. Is a precision therapeutics company that was established to develop epigenetically-acting drugs which target abnormal arginine methylation in cancer. The company was founded on pioneering research from the University of Oxford, UK. Argonaut Therapeutics strives to develop a new class of precision cancer medicines which target the enzymes responsible for abnormal arginine methylation in cancer. Argonaut Therapeutics is a precision medicine company developing transformative epigenetic therapeutics to treat cancer. The University of Oxford is a collegiate research university located in Oxford, England, United Kingdom. While having no known date of foundation, there is evidence of teaching as far back as 1096, making it the oldest university in the English-speaking world and the world’s second-oldest surviving university. Since the foundation in 1945, JW Pharmaceutical Corporation, based in Seoul, South Korea, has long been leading the hospital domestic market in pharmaceuticals, IV solutions, medical devices and diagnostics. JW is also reinforcing its global competitiveness through expanding CMO business with its world class high-tech manufacturing facilities. JW is focusing on innovative drug development through an internal R&D center along with JW CreaGene for cell therapy, JW Theriac in San Diego, USA and C&C Research Lab which is a joint venture company with Chugai Pharmaceutical Corporation. 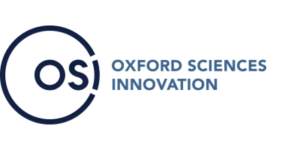 Oxford Sciences Innovation find the most innovative ideas coming out of the University of Oxford, and invest in them to build world-class companies.